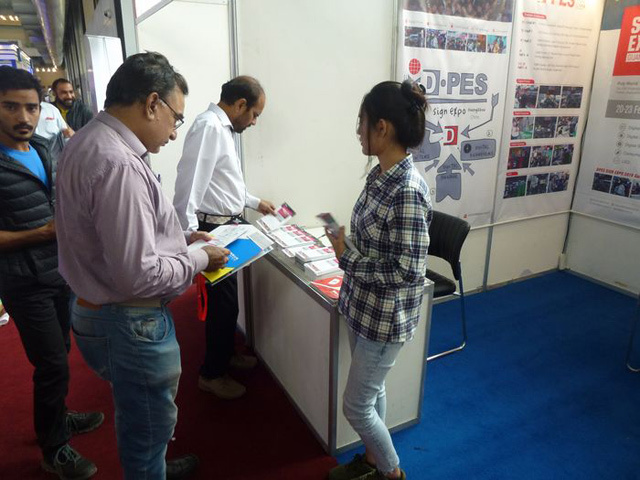 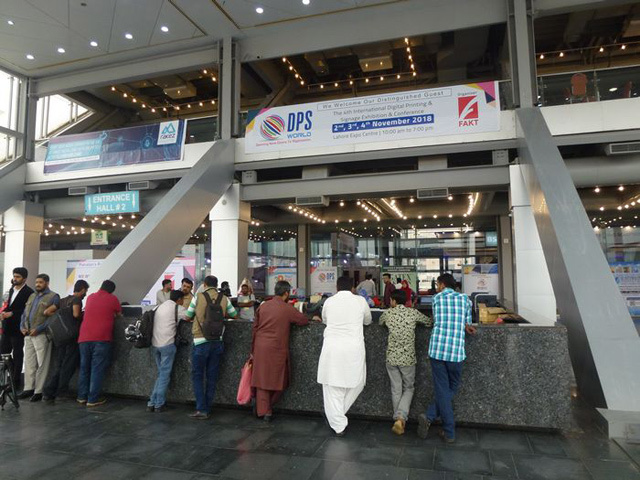 On 2rd November 2018, DPES oversea promoters arrived in Lahore, Pakistan in attendace of DPS World 2018 which is held at the Lahore International Expo Centre from 3rd Nov. to 5th Nov. 2018. 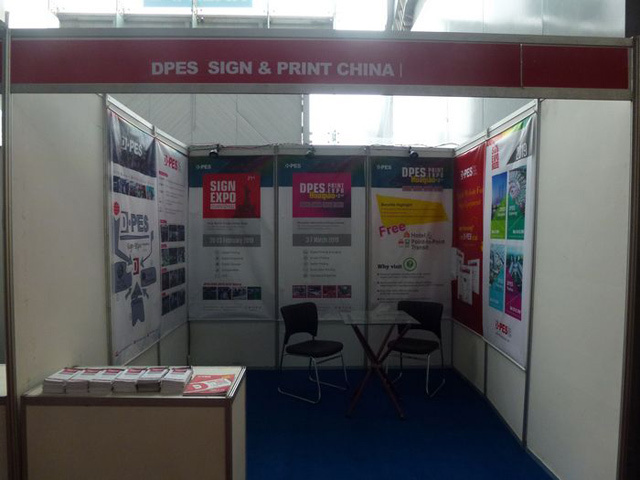 We strive to invite even more professional buyers overseas to DPES Sign Expo China 2019 and Huaqiao Print Expo 2019. 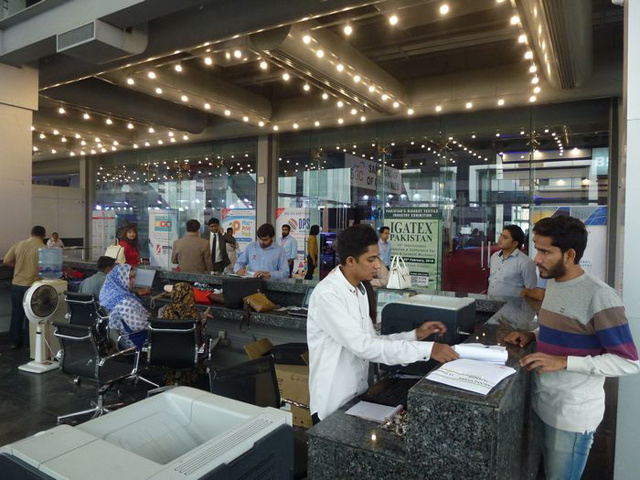 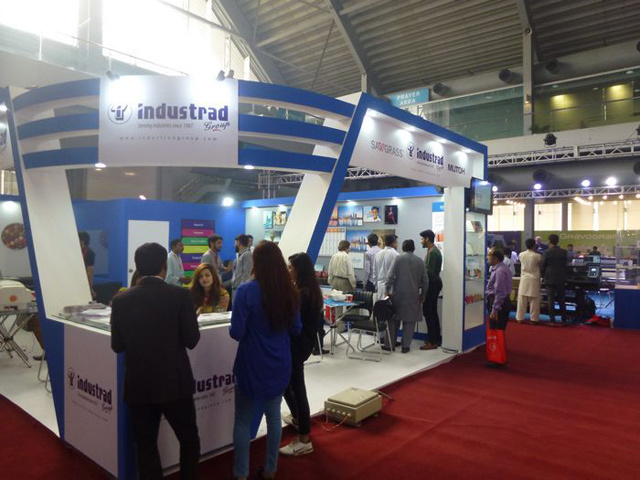 Held in Hall 2, the expo reached a size of 8000sqm with 150 exhibitors from Pakistan, Italy, the Netherlands, UK, China and many more. 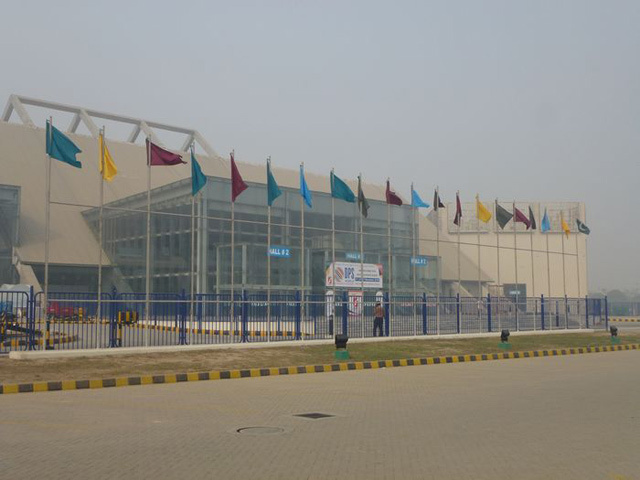 An estimated 10,000 audience would be present for the expo. 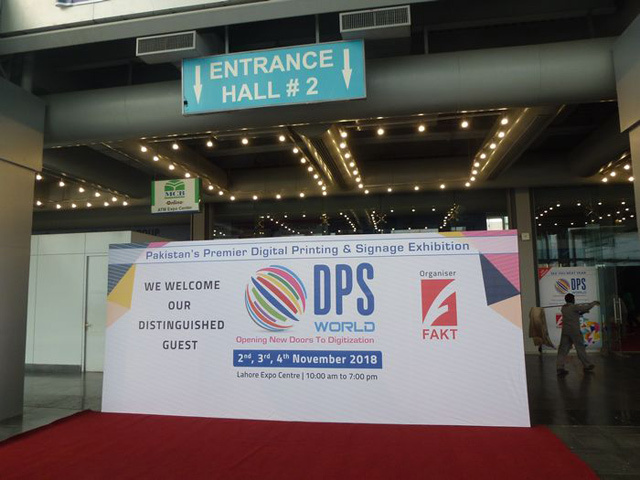 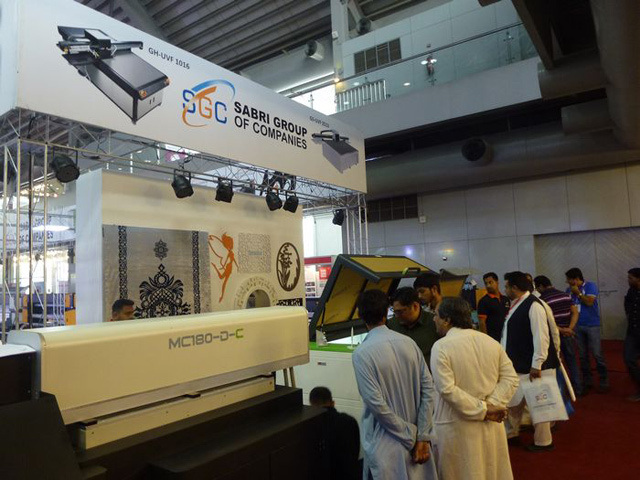 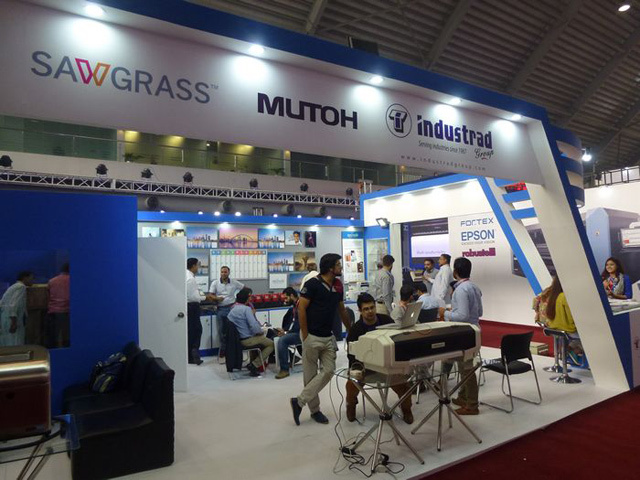 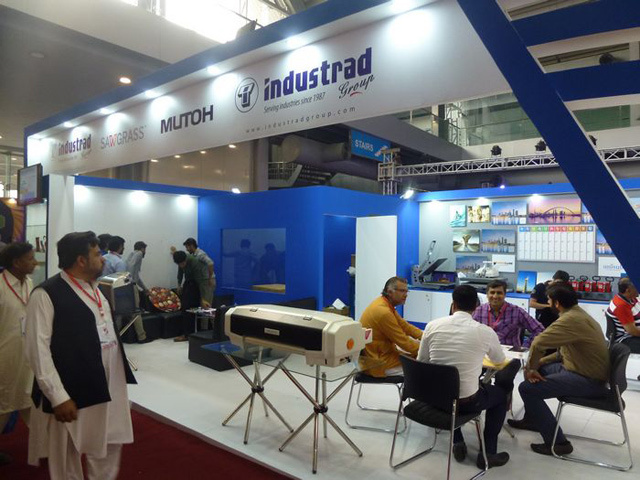 DPS World is Pakistan's sole professional exhibition in digital printing and signage industries. 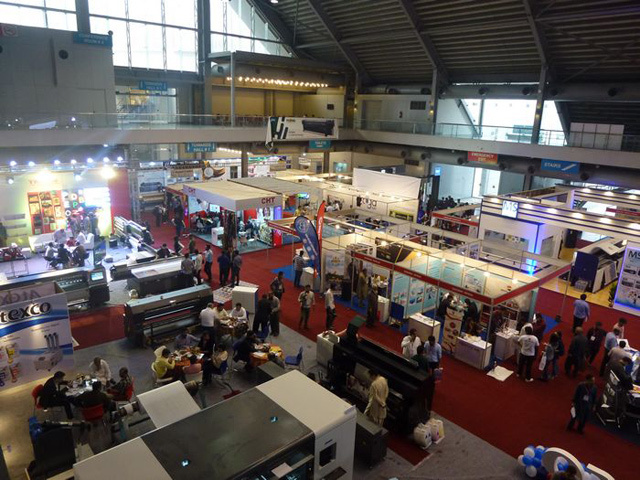 Held on an annual basis, this is the fourth year of the show. 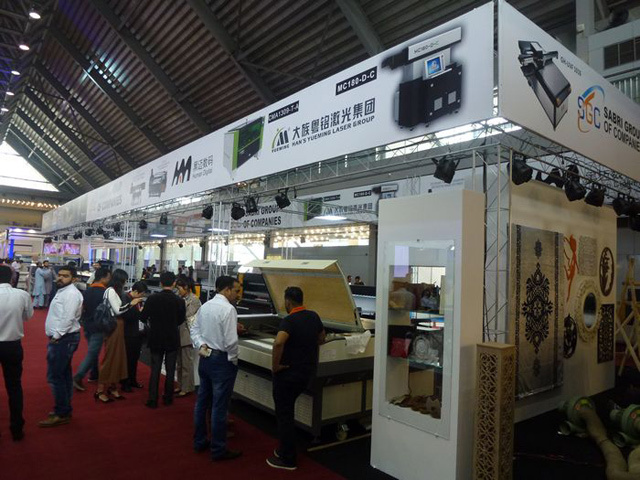 It is a platform for manufacturers, suppliers, distributors and users to communicate, commerce and cooperate with each other. 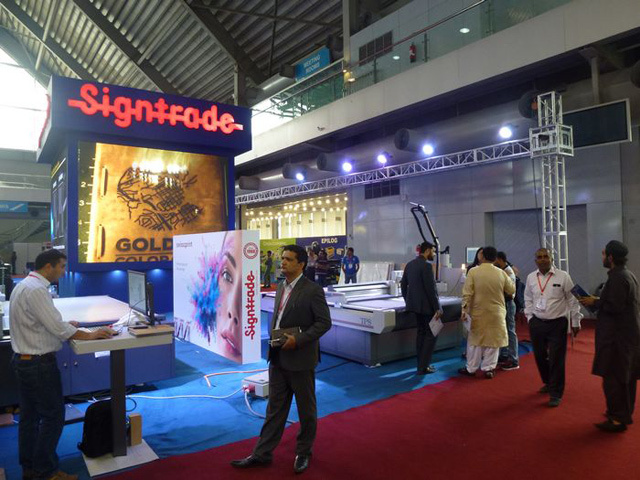 Despite opening a day behind schedule, the audience is still looking foward to the show. 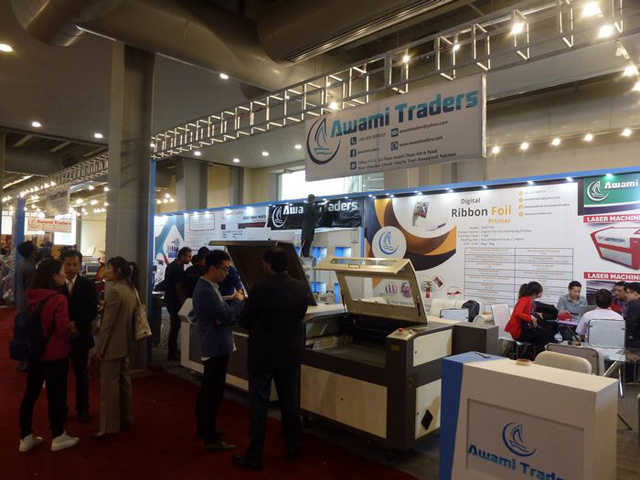 After the show began at 10am November 3 local time, audiences from across the globe started their registration and entrance. 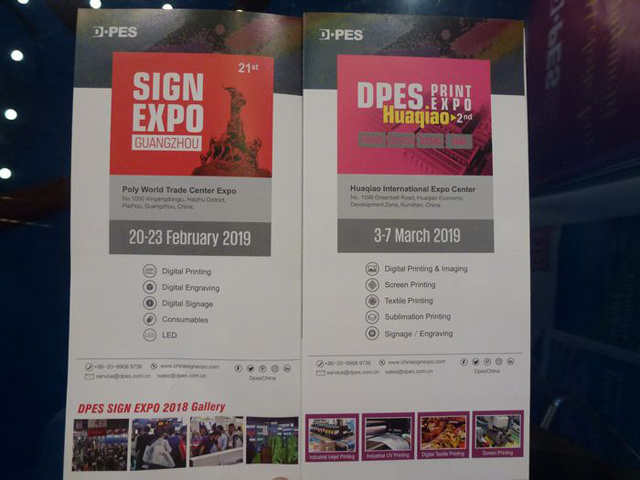 DPES promotion specialists were eager to introduce DPES Sign Expo China 2019 and Huaqiao Print Expo 2019 and were met with enthusiasm. 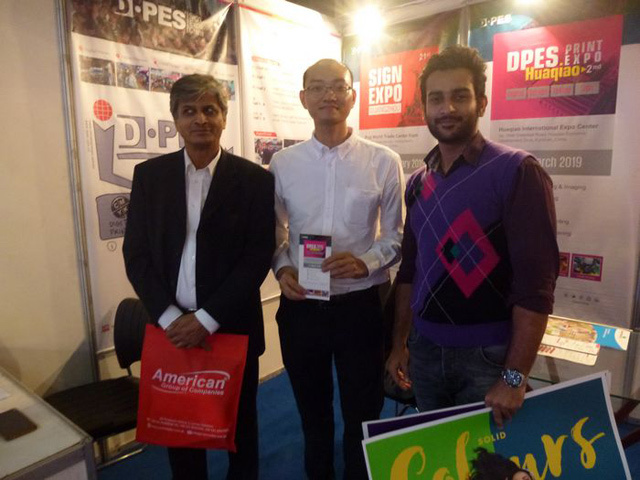 Part of the audience were familiar with DPES Guangzhou and also expressed their interest in the Huaqiao Expo. 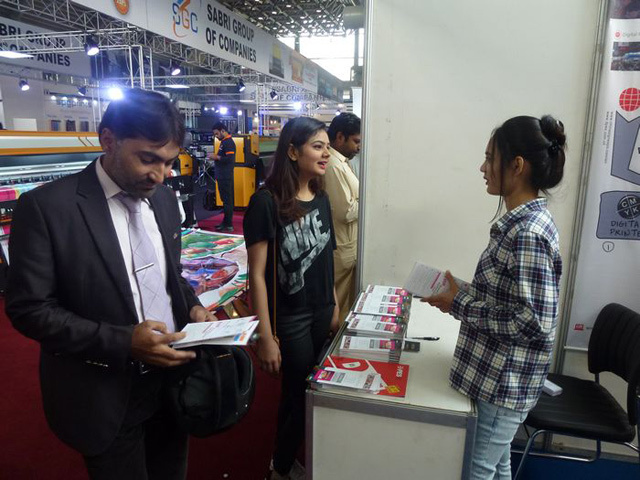 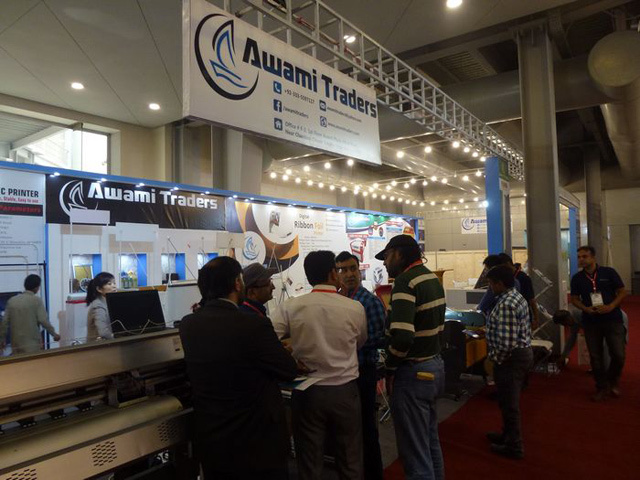 The specialists also interacted and conversed with various exhibitors, raising brand awareness and recognition. 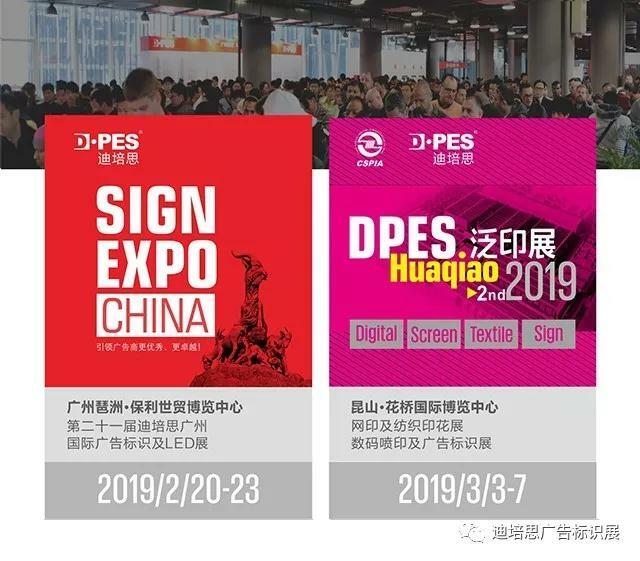 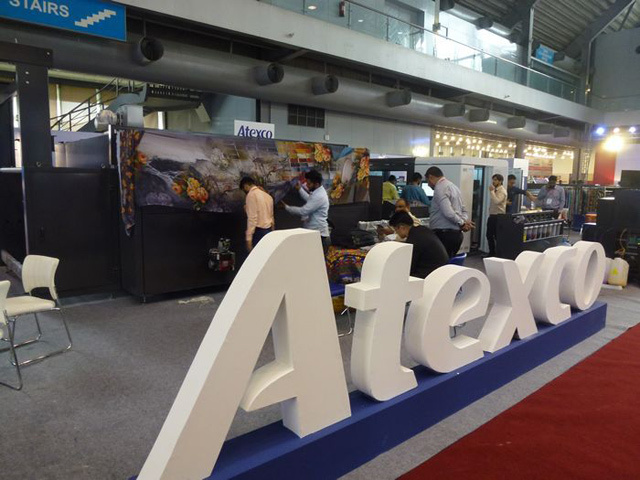 Many local exhibitors and audiences stated that they are more than willing to attend DPES Sign Expo China 2019 and Huaqiao Print Expo. 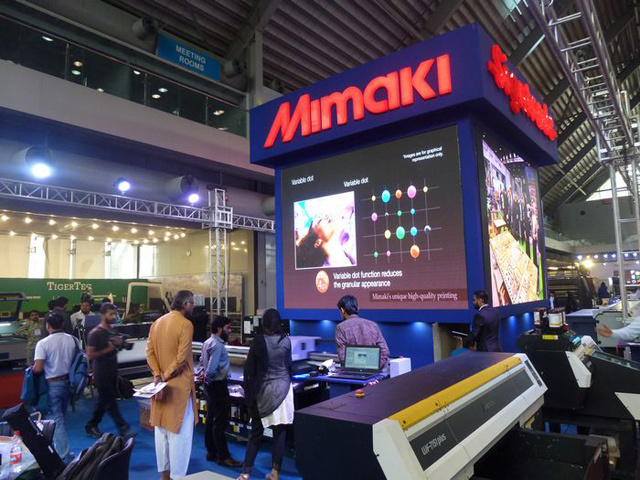 Advertising products: Inkjet Printers, UV flatbed printers, Photo Machines, Laser Machines, Acrylic, Engraving Machines, Cutting Plotters, Cutting Machines, Banner Machines, Digital Screen Printers & etc. 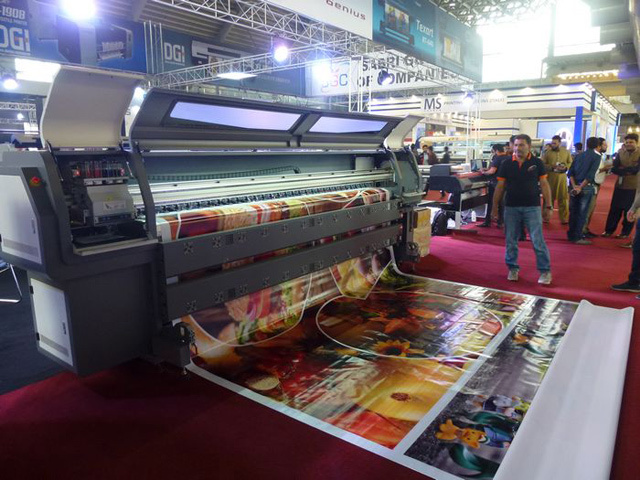 Advertising Consumables: Flex Banners, Ink, Reflective Material, Self-adhesive Vinyl, One-way Vision Stickers, Stickers, Printing Paper, Silk Printing Consumables, Advertising Boards & etc. 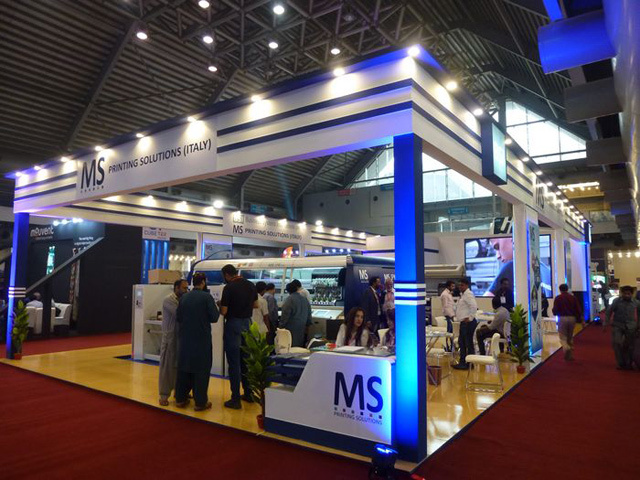 Exhibition and Display Equipment: Display Racks, Display Cabinets, Portable Displays, Standing Plates, Light Boxes & etc. 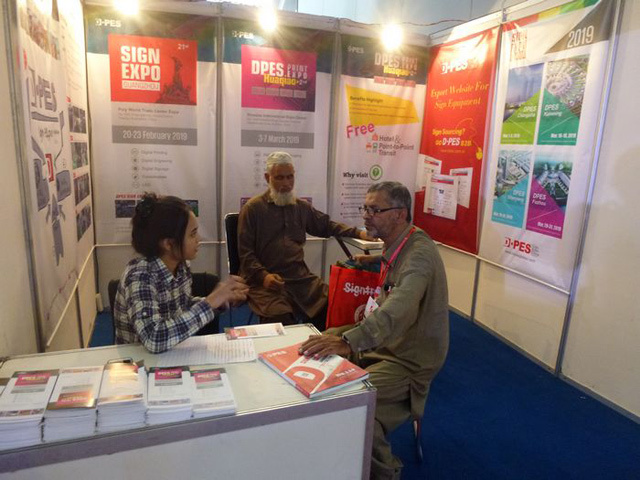 Outdoor Advertising: Three-over Billboards, Signage, Mobile Exhibition Trucks, Advertising Flags & etc. 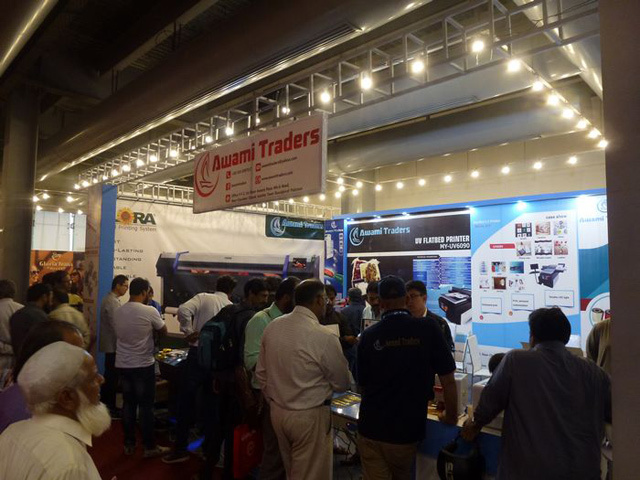 LED：LED Dislays, LED Devices, Luminous Charaters, LED Point Sources, LED Neon Lights & etc. 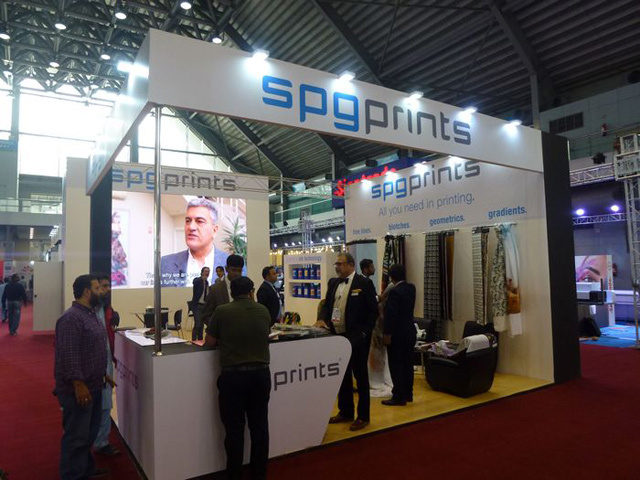 Printing and Dyeing: Dye Sublimation, Printing Technology, Apparel Technology, Printing Ink, Paper, Vinyl and Printing Bottoms, Lamination and Sruface Finishing & etc. 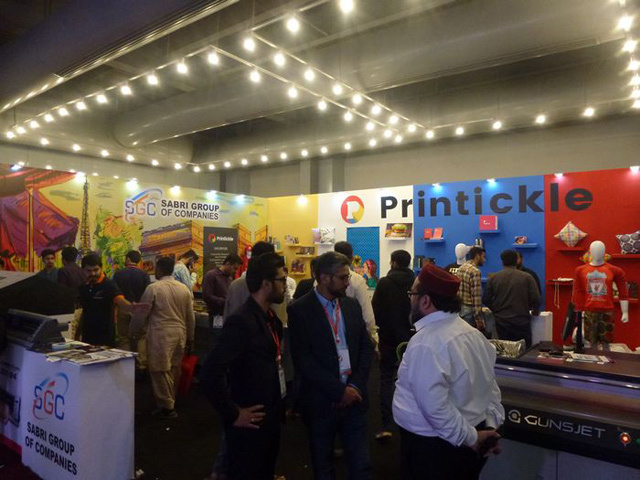 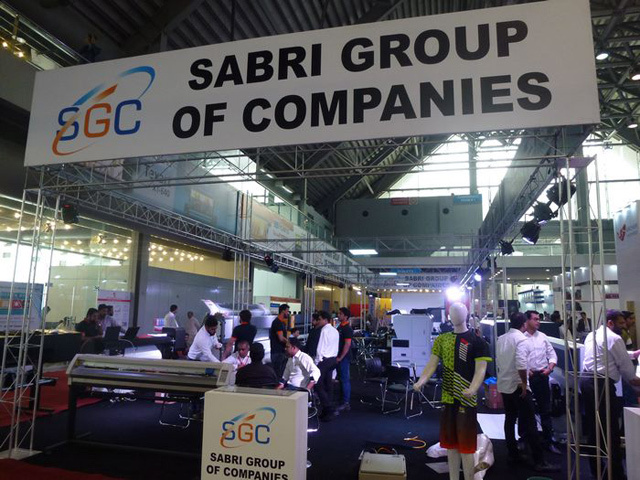 Textile printing, digital printing in particular, is the newest yet most energetic business in Pakistan. 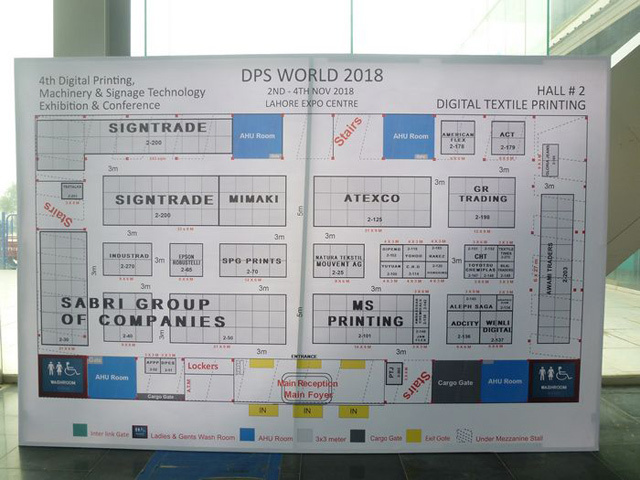 In spite of taking up less than 5% of the amount of textile printing, market share of digital printing is rising at remarkable rates, climbing to twice of last year's number. 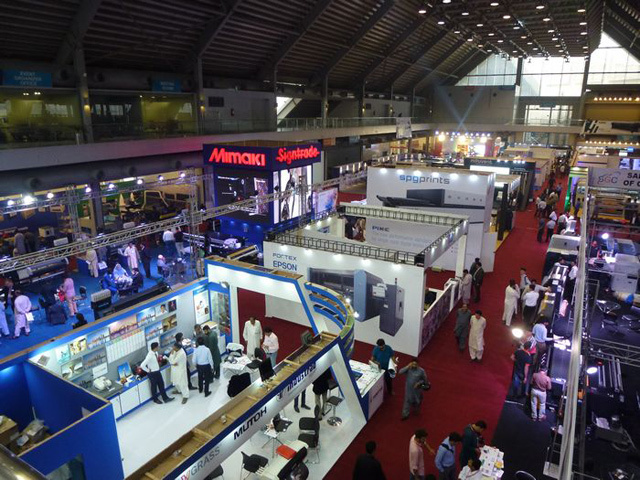 Leading enterprises and reknowned brands attending the show include MS, SPG Prints, EPSON, MIMAKI, ROLAND, MUTOH, ATEXCO, TAIMES and more. 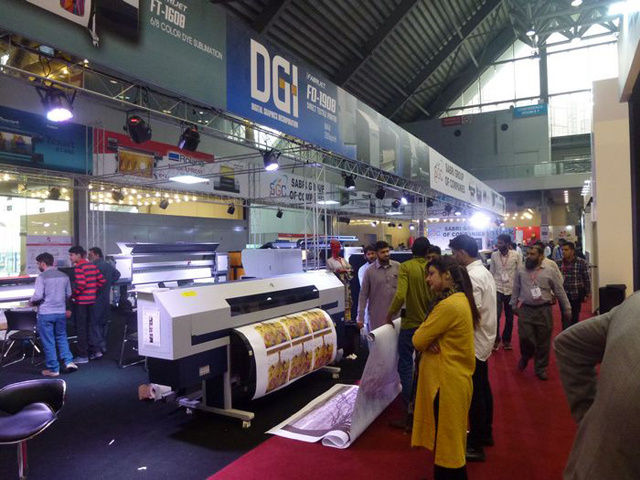 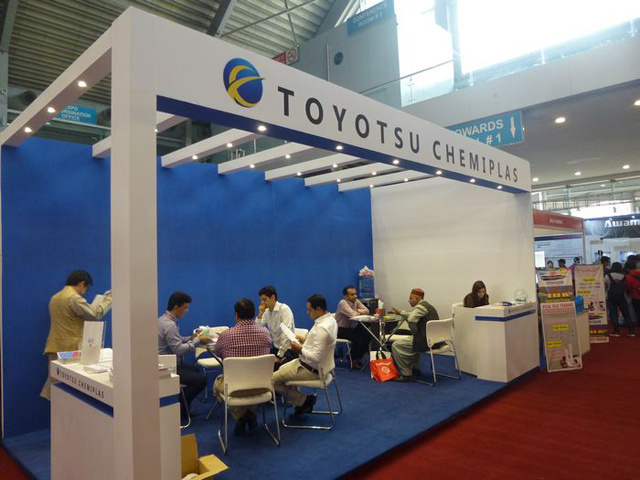 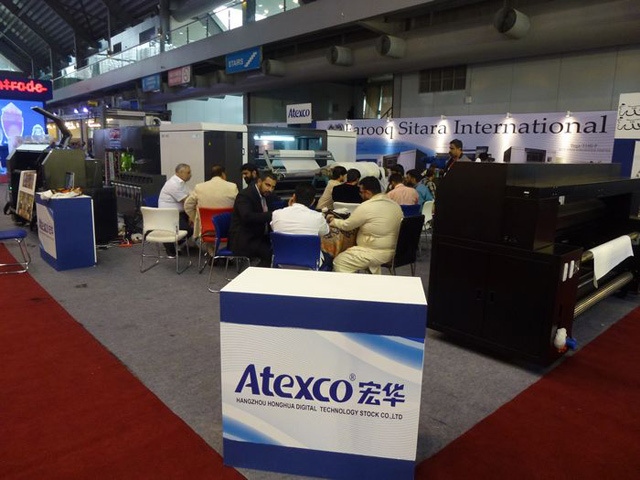 Chinese exhibitors amount to 20% of the total number, with advertising printing equipment being the main exhibits.